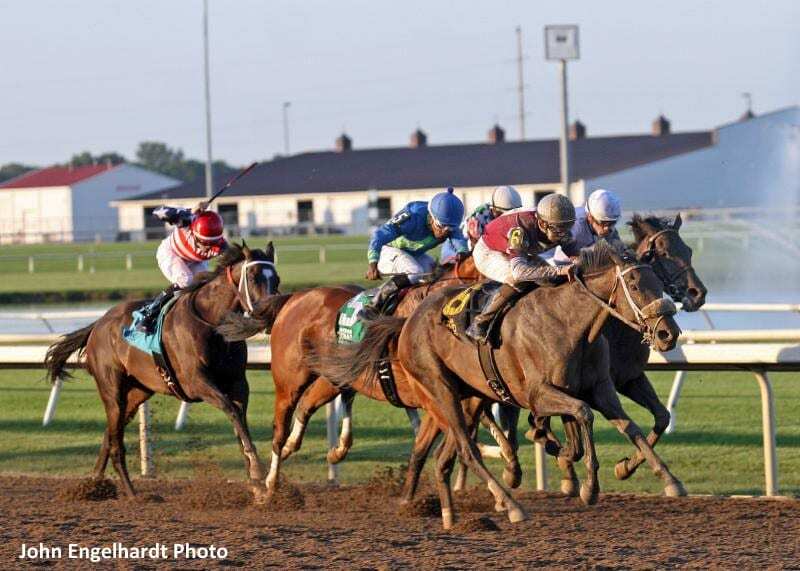 Indiana Grand Racing & Casino will kick off its 17th season of Thoroughbred and Quarter Horse racing Tuesday, April 16, 2019. The first race will go to the starting gate at 2:15 p.m. to signify the start of the 120-day racing season. A total of 10 races are on the program with the final two dedicated to Quarter Horse racing. The featured race on the card is the seventh, a $32,500 allowance optional claiming event with a field of 10. Heading the entrants in the feature is Mono from the Tom Amoss barn. The five-year-old son of First Samurai travels to Indiana from Fair Grounds where he was recently claimed by Amoss. With a win in his last start, he has been chosen as the race favorite at odds of 5-2. DeShawn Parker is scheduled to ride Mono from post three. Another contender for the feature is nine-year-old veteran Wild About You from post seven. The Milwaukee Brew Florida bred has 11 career wins and earnings of nearly $250,000. His last start was also a win, scoring a victory against allowance company at Fonner Park for trainer Marvin Johnson. In addition to the Pick 5, which was implemented during the 2018 racing season, Indiana Grand will offer a new wager in 2019. The Quarter Horse Pentafecta will be offered on each Quarter Horse race and will include a carryover. The 10 cent wager will be kicked off on the ninth race, a 250-yard dash for Indiana bred maidens. Indiana Grand will have a slightly adjusted post time schedule in 2019. Racing on Tuesdays, Wednesdays and Fridays will begin at 2:15 p.m. with Saturday racing set for 6:15 p.m. The season extends through Wednesday, Nov. 6. This entry was posted in The Biz and tagged Horse Racing, Indiana Grand, indiana horse racing, jon schuster, Quarter Horse racing, thoroughbred racing, Tom Amoss by Press Release. Bookmark the permalink.